The plan to get to Thredbo for the start of this saga went surprisingly well. It meant an early start though. In order to drive up and fit in a fairly full day of walking, the alarm was set for 4 am. This was a little hard to take, but I did wake up, which proved I was alive, so it wasn’t too bad I guess. 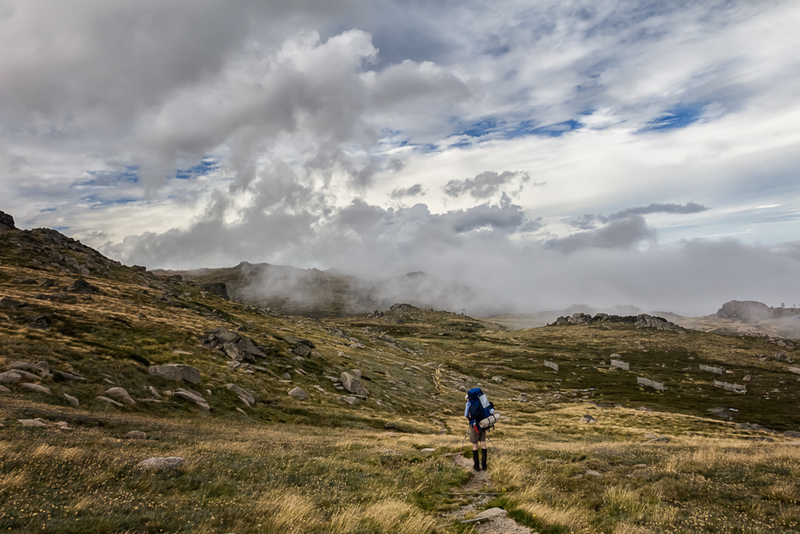 Our target for the day was of course Mt Kosciuszko and in order to get there, we had three options on offer. 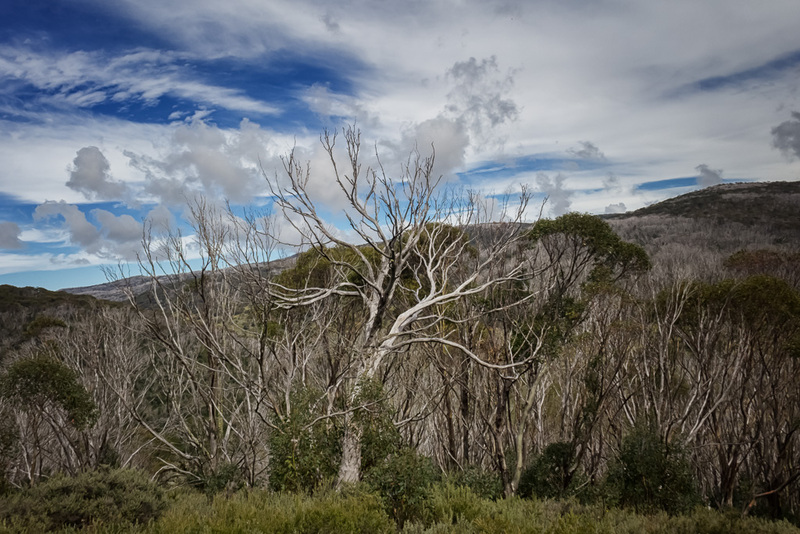 By far the easiest was the (cough, cough) chairlift from Thredbo. A gentrified gravel road from Charlotte Pass and finally MK’s choice. Dead Horse Gap. This was the lowest in elevation, which meant a fairly solid afternoon of climbing. We’d driven all morning and of the three options, the Gap was the first one we reached, so it seemed as good a place as any to start from. Whilst parked and spending what seemed like a decade to get our things together, another couple parked nearby began yelling, “Watch out for the snake!” At first I thought it was Jake Roberts coming through with the DDT manoeuvre, but it was actually the less intimidating, slithery version. 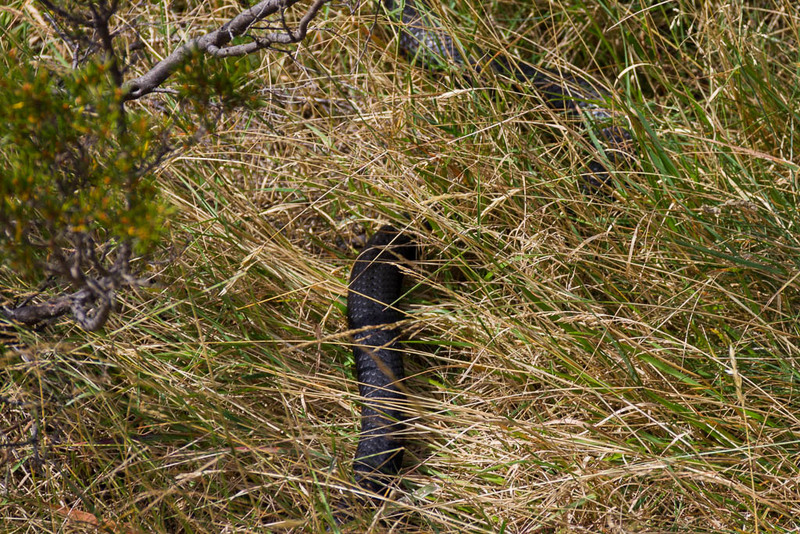 A black snake was cruising around the car park. I thought they were shy? This bloke was being a thrill seeker, sliding freely out in the open, taking time to check things out. I went to grab the camera, but by the time I got snapping, the bugger had taken off into the grass. I was so close to a good photo, but at least you can see I just didn’t make all of this up. Following the excitement, we set off with heavy packs, which seemed way heavier than what was required for three days of walking. The Dead Horse Gap Track starts at around 1500 metres of elevation. I was reading the other day about someone who said they’d started from the Gap, which was at ‘1000’ metres. Do you think they were trying to pull a fast one? Hoping to convince us chumps sitting in our chairs, that their walk was harder than it actually was? Anyway, within two metres of starting, we reached our first drama of the day. Orange netting across a small river crossing advised us we should take care, as water had washed away a ‘bridge’. I’m not sure what was there before, but we now had the world’s smallest rock hopping exercise. After sitting in a car for an eternity, we hadn’t got our legs into gear, so it was a crossing which required some concentration. MK went first. Weighed down by a monster pack full of chorizo sausages and chocolate. I advised her if she fell in, I’d try and get a decent photo, which is the main thing. Guess what? She sort of fell in. One leg only, so it was just a minor slip, but I made sure I captured it. Miracles do happen, as somehow I made it across without toppling over. Quite an achievement for someone who’s ‘top heavy’. With the drama over, we began to follow the track, as it started to wind its way uphill. Surrounding us was standard alpine fare. 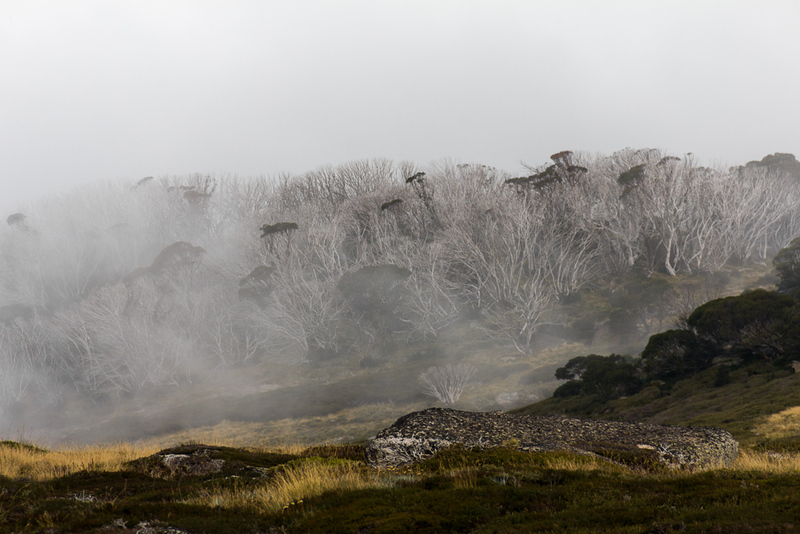 Plenty of snow gums to peruse on the way up. At one point, this casual strolling was interrupted. I’ve seen some strange things over the years, but I can’t say I’ve ever seen a sizeable spider bounce out of the grass and stop dead in the middle of the track to give me an eye-balling. First of all it was thrill seeking snakes and now it was tough guy spiders. I concluded there are some weird things going on in New South Wales. 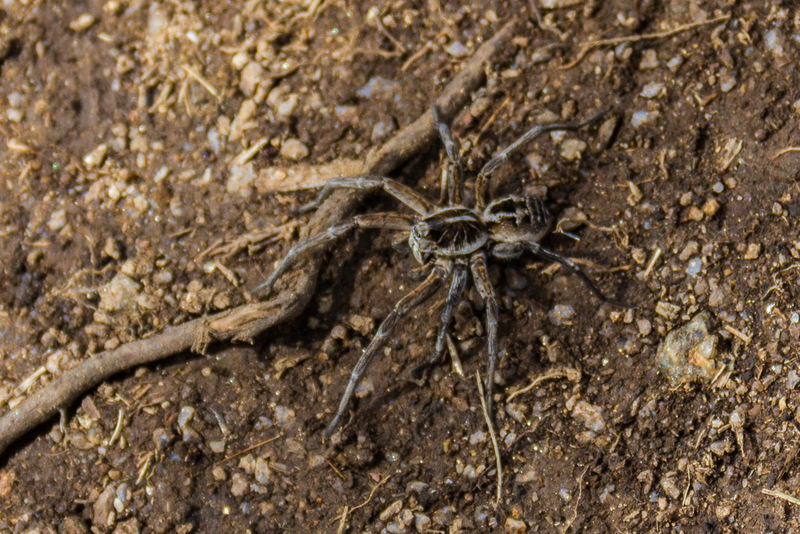 I swerved around the spider who had no intention of moving and continued on, but I remained attentive of the ground. It wasn’t just the odd jumping spider I was worried about stepping on. There were an amazing amount of little lizards on the path. 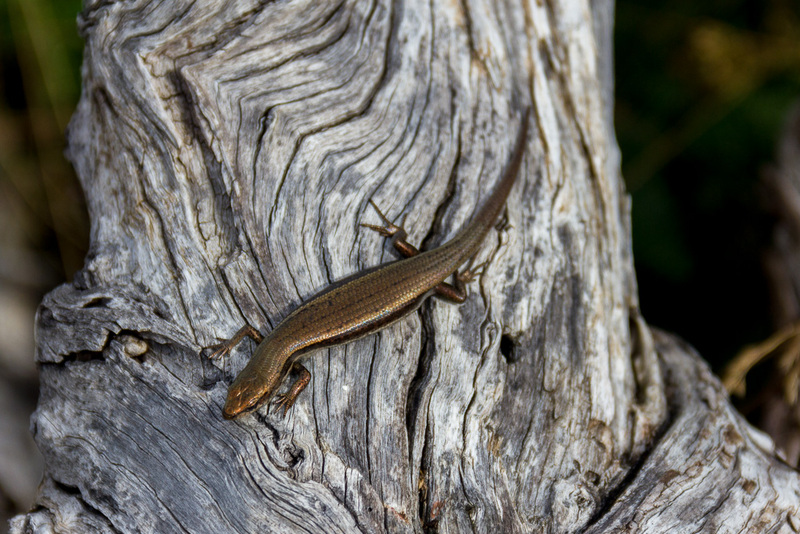 I guess they’re called skinks, instead of ‘little lizards’, but my lizard identification skills are not up to scratch. There was constant movement on the path, as they ran off upon feeling the rumbling of my heavy footed approach. I took about a dozen photos, until I finally captured one in some sort of focus. The odd day-walker was making their way down and MK and I declared we wouldn’t see anyone else climbing this track. 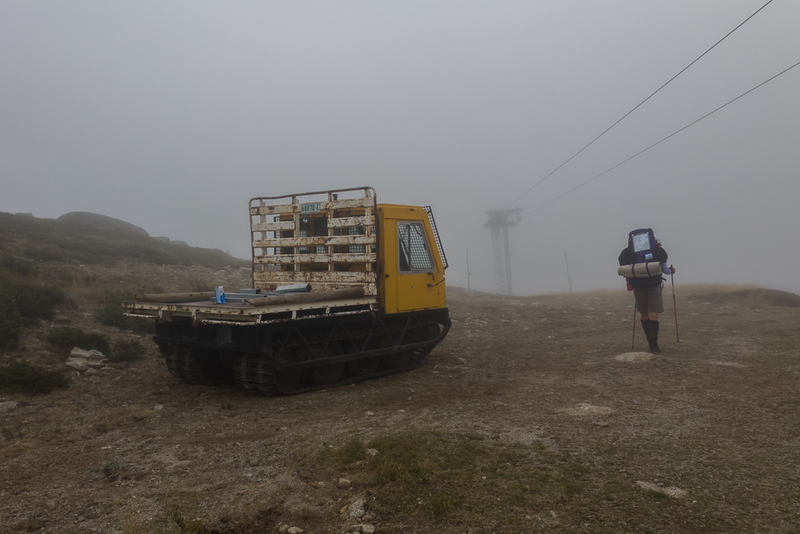 We’d decided the most common method would be to get the chair-lift up and then descend via the Dead Horse Gap Track. Essentially, the only clowns climbing would be us. At one point we reached a bench, which was a nice place for a short rest and an opportunity to wipe a litre of sweat out of my eyes. Being the world’s hottest man has its pitfalls in Australia. Whilst resting, we were suddenly deluged by about 25 teenagers, who were heading down. One group was being led by a kid with his shirt unbuttoned to his waist, wearing a pair of reflective Aviator sunglasses and a matchstick in his mouth. I think he was trying to be cool, but he appeared to be an extra from the Village People’s ‘Macho Man’ film-clip. They were all friendly enough, although I was getting weary from bellowing out ‘G’day’ at them all, as I abided by the ‘hello’ social convention. After about 12 seconds of the kids leaving, a lone woman came past. I was surprised when she said, “Wow, you’re the first people I’ve seen all day!” I’m not sure how she missed the battalion of teenagers, but her second surprise was when we told her where we were going. 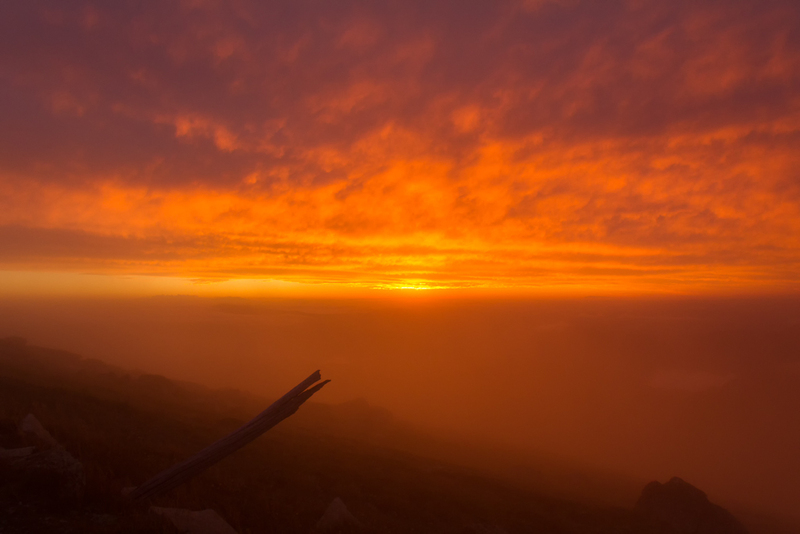 Our plan was to see Mt Kosciuszko at sunset and make our way to Seamans Hut, to which her reply was, “Wow, that’s a fair effort. That’s a lot of walking to go”. It was then we re-consulted the map, which I hadn’t really looked at and found we had about 12 km to go. Ouch, was the conclusion, as we realised it was a longer first day than we first thought. Climbing again, we left the tree-line and reached open ground. I do prefer the world above the trees, but there are exceptions. Another spot where there are no trees is my backyard, which is all concrete. That’s another story though. 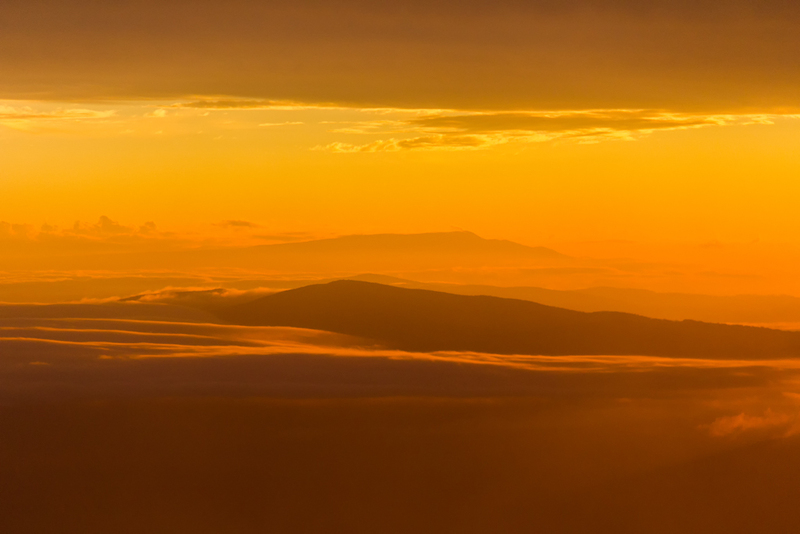 Clouds were swirling past, obscuring the view briefly, but overall it wasn’t too bad. Once up high, it always strikes me how quiet it is, especially when surrounded by clouds. It was now late afternoon, so sighting any other people would have been unlikely, as the chair-lift for day walkers closes at 4 pm. It’s a lovely landscape if one can ignore the chair-lifts dotted about. They may look nice in winter, but look slightly incongruous when there’s no snow around. 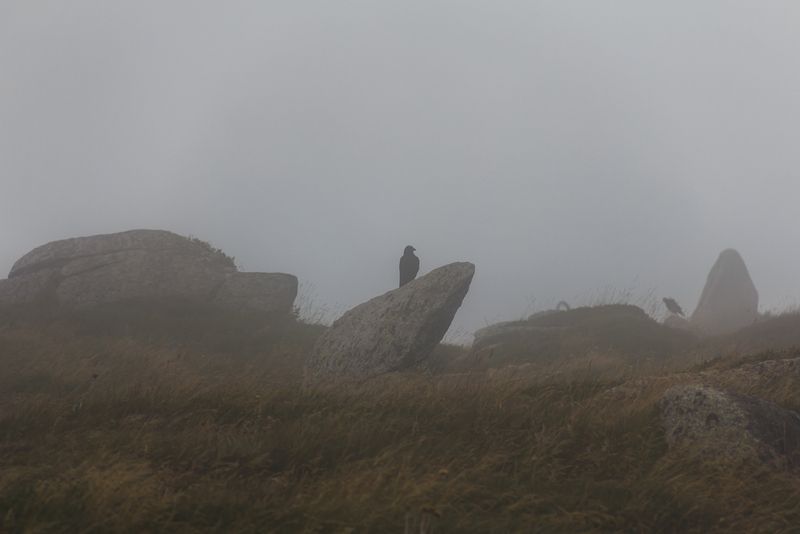 The millions of lizards had long vanished and now the only wildlife on offer were currawongs, who kept their distance in the clouds. 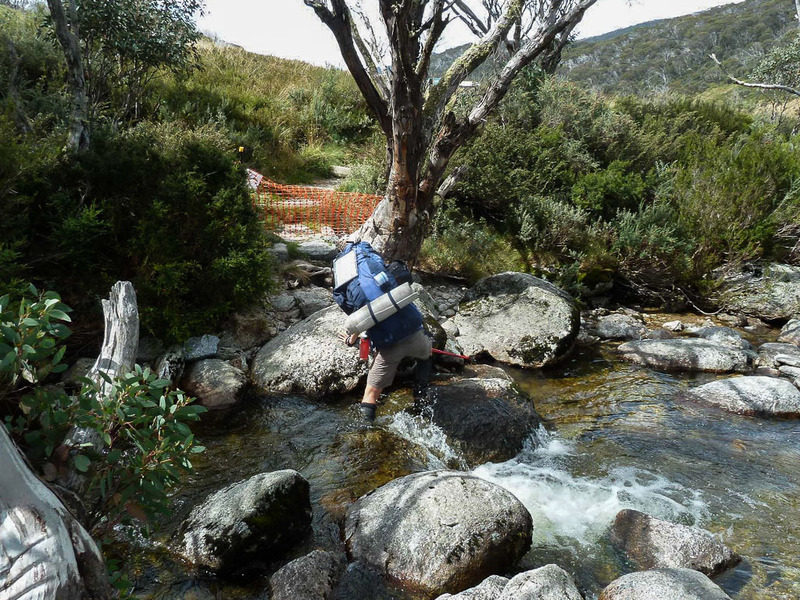 It was now time to find the track which leads up to Mt Kosciuszko itself. 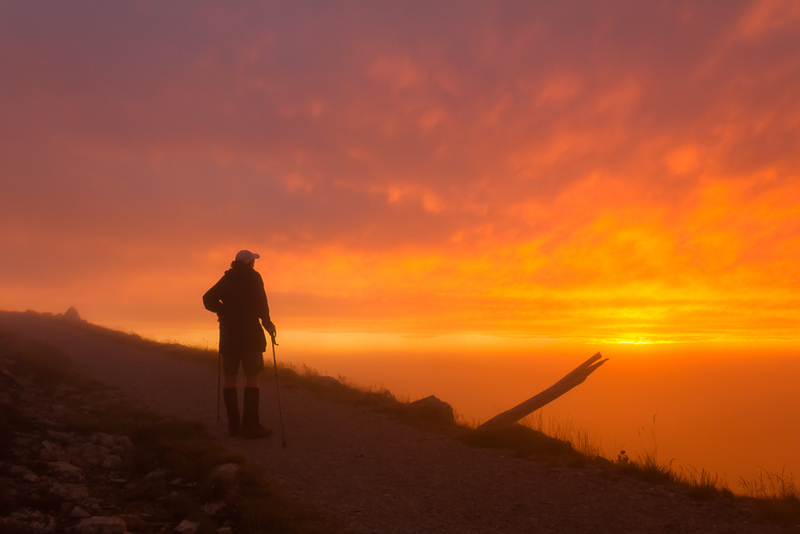 Due to the amount of punters heading to the summit, a metal boardwalk has been built, which is over 6 km long. 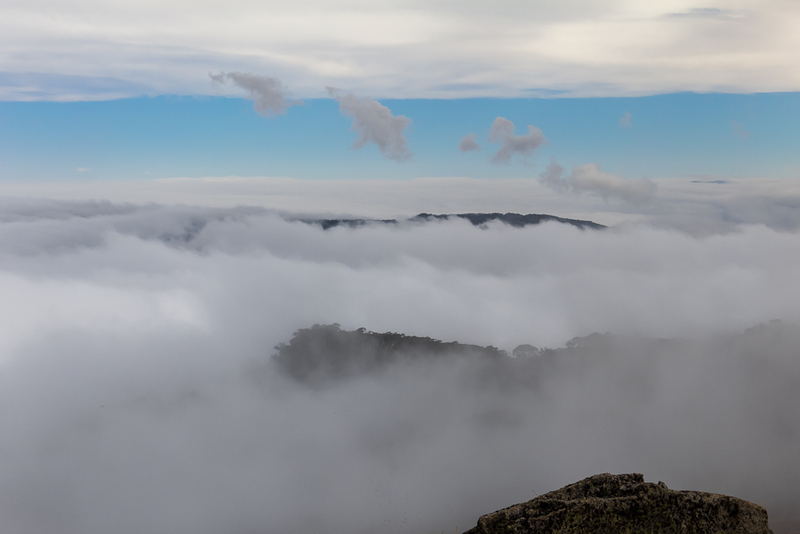 It didn’t feel very adventurous, but there was a nice feeling of height when I looked out across the top of clouds. The next photo shows what I mean. It was certainly a better view than the one straight ahead. I shouldn’t complain though, as I don’t get hike amongst snowmobile looking trucks very often. We hit the metal boardwalk, but it didn’t take long before I realised something. My feet began hurting, which led me to conclude that walking on the metal sucked! It felt worse on the legs than walking on uneven ground and I can’t even believe I’ve just written that. It was peaceful amongst the pain though, as it appeared we had the mountain to ourselves. We were making good time now though, as we slogged upwards. 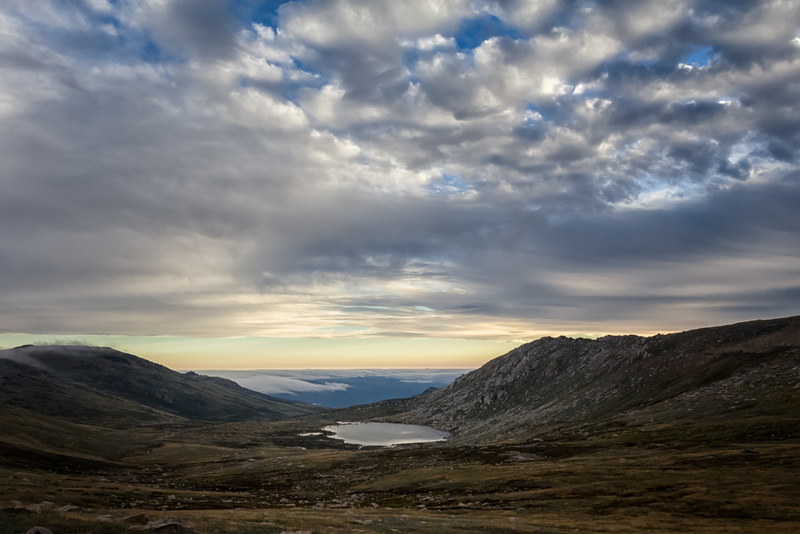 Lake Cootapatamba was now visible and it has the distinction of being the highest altitude lake in Australia. This means it sits about 15 feet above sea level. 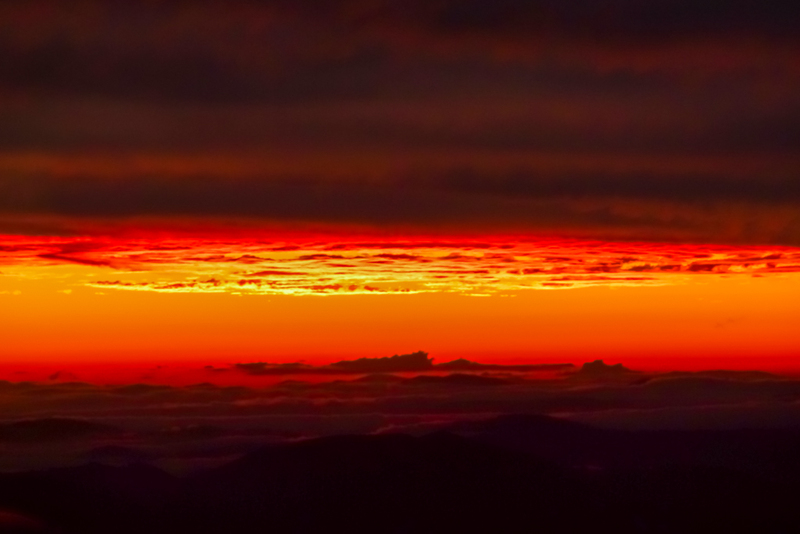 It was a tricky one to photograph, as clouds kept whistling through blocking the view. I managed a few snaps before heading off again. Minutes later, the same view. After a few more kilometres of walking on magnificent metal, we reached Rawsons Pass. 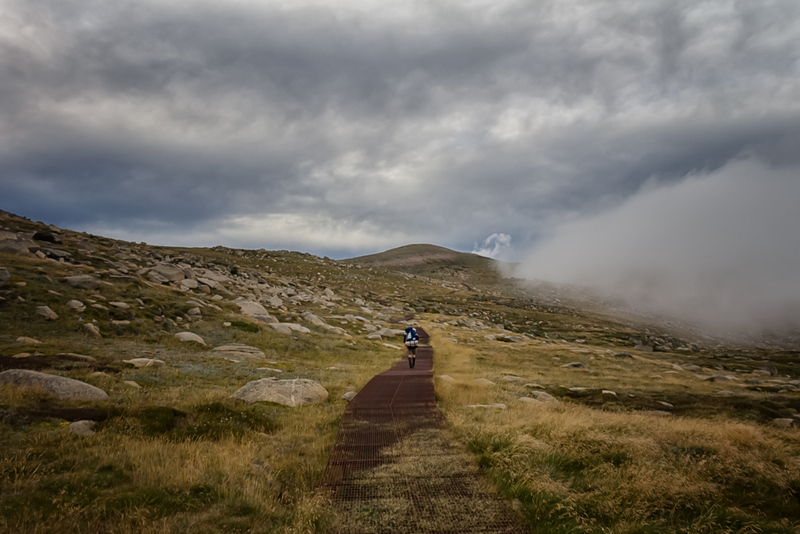 We were now only a kilometre or so beneath the Mt Kosciuszko summit and with light fading, it was now time to drop our backpacks. Clouds covered the peak, but MK was pretty confident of some sort of view, so I was happy to give it a go. It’s quite bizarre to say, but one used to be able to drive to Rawsons Pass on a road as late as 1976 (I’m old, so that doesn’t seem that long ago). These days, in the warmer months, it’s said there are 150 people per half hour heading to the top. Can this be true? In our case, it was late in the day, so it appeared we had the place to ourselves. I mean, the chair lift had stopped, so how would anyone left up there get down?! It was nice and peaceful, as we followed the metal grate, which continues all the way to the summit. I’m not sure why an escalator hasn’t been installed just yet, or even one of those chairs to sit on as it goes up and down a banister? That would be cool. As we walked up the sun started to break out of the clouds. 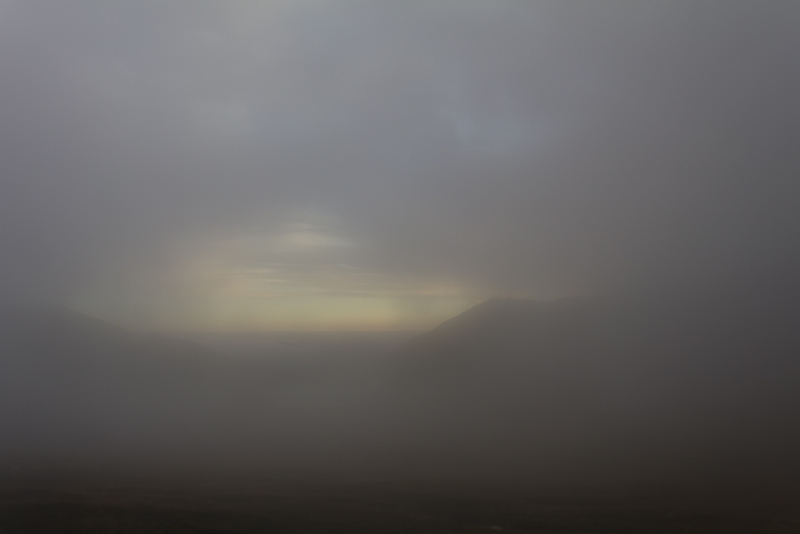 There’s no way of describing the light we saw, but as the sun became visible, it sat above an enormous low cloud in the valley below. 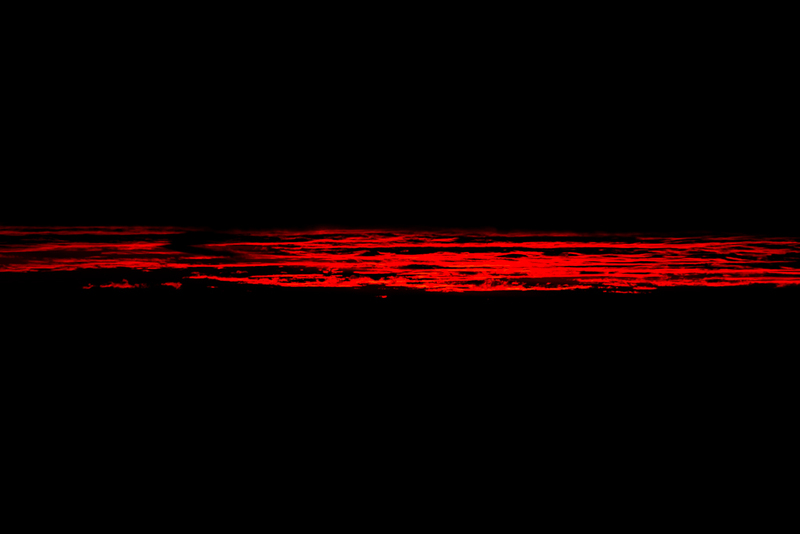 This created what looked like a soft sea of red, as the light reflected off it. My jaw dragging on the ground slowed me to a crawling pace and the pictures I took, in no way show how magnificent it was. …until we rounded a bend and saw the summit obelisk. We’d now reached 2,228 metres and other than the enormous bowl of hot chips I had the other night, we were at highest point on the Australian mainland. The summit obelisk is a metre or so off the ground, but I refrained from standing on it to show I could be even higher. How tall do you want me to be? 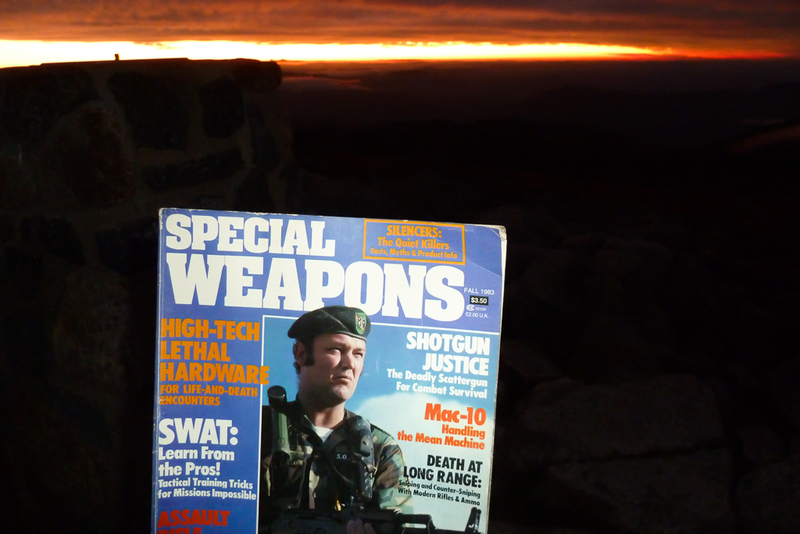 In fading light, the obelisk made for a tedious photo, so there wasn’t much more to do, other than peruse the 1983 Fall edition of ‘Special Weapons’. 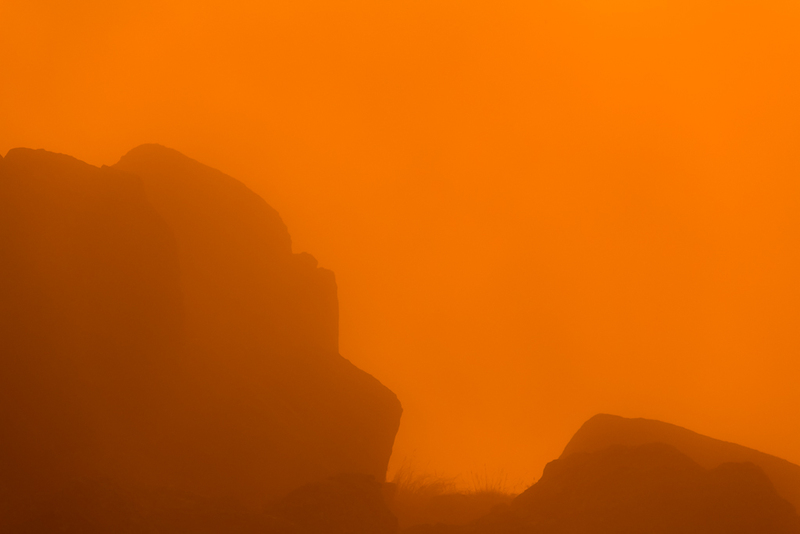 I’d brought it, as I planned on creating an amazing joke, but the freakish sunset had killed any ideas of comedy. I was officially sunset rattled and left speechless. Not even the bloke on the cover could help me. Even though he looks like he’s been on the pizza diet, whilst displaying a very mediocre grimace. Not to mention accompanied by a beret, which is worn way too flat, so it looks like the top of an aircraft carrier. Even with all of these observations, do you think I could come up with some decent guffaws? Nature had silenced my jokes. I bet you’re glad?! Left jokeless, we donned headlamps, as it was getting dark and just a bit chilly as well. It was also the time to be absolutely bombarded with a billion or so moths. Certainly, wearing a headlamp didn’t help things and I was a little fearful of moth concussion, which is a rarely known ailment. 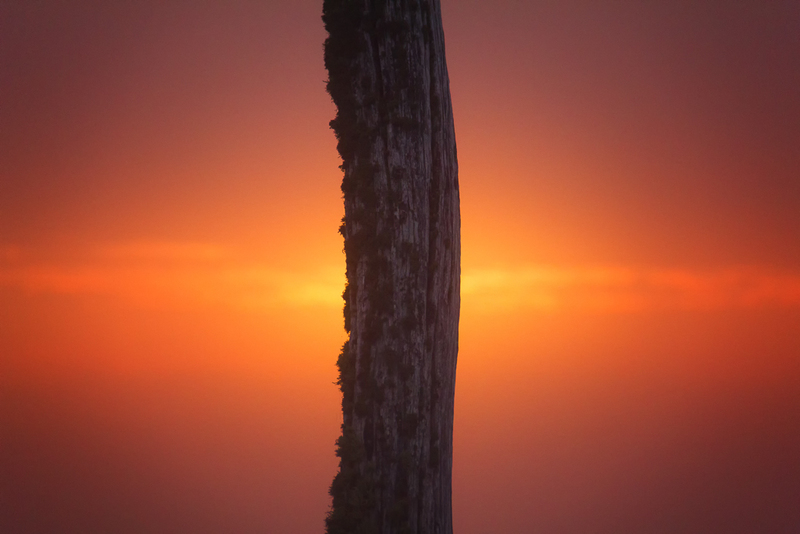 There was one last chance to see the remains of the sunlight fade away, as I made my way down with the soft sound of ‘moth-into-skull’ impact in the air. It was dark when we retrieved our packs, but we still had a couple of kilometres to go before reaching Seamans Hut. That’s not all, as another feature was to be observed before then. Australia’s highest comfort station. What? Yes, I know it’s not the most exciting place, but it does exist. Built into the side of a hill, I guess it’s as discreet as it could be. It’s obvious why it exists though, as 100,000 people visit the area per year. 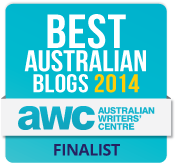 Without it there would be an opportunity to start a new blog called ‘DumpFiasco.com’. I’d show you a photo of the outside, but it might spoil the photos in this post. Following this, we continued down the path trying to keep a look out for the hut. We didn’t really know how far it sat off the track, so we applied some concentration in order not to miss it. Eventually though, it loomed up out of the darkness and we arrived to find it empty. It’s a great looking stone hut, which was built in 1929. I noted by the signage it’s only to be used by people in an emergency. This clearly was, as it was 9.30 pm and I had a number of injuries from numerous moth collisions, which required me to lie down. 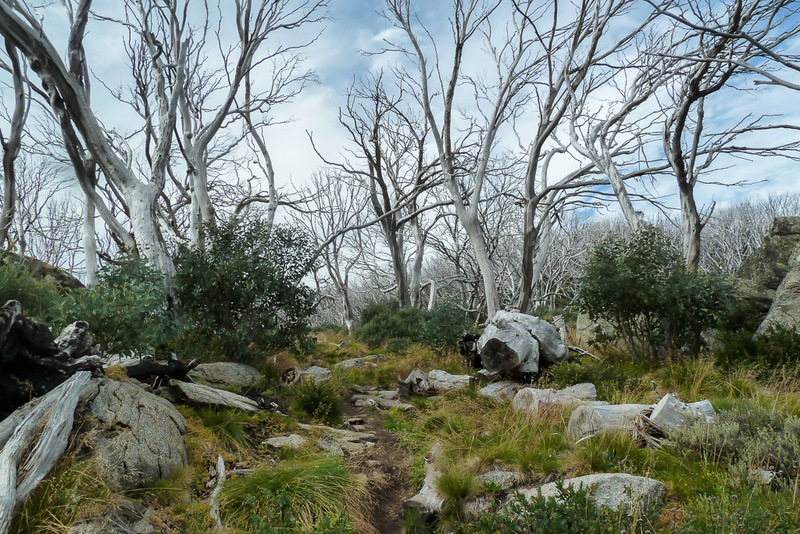 Walking from Dead Horse Gap to Mt Kosciuszko, Snowy Mountains had made for a long afternoon. Roughly 15 km with over 700 metres of elevation climbed. 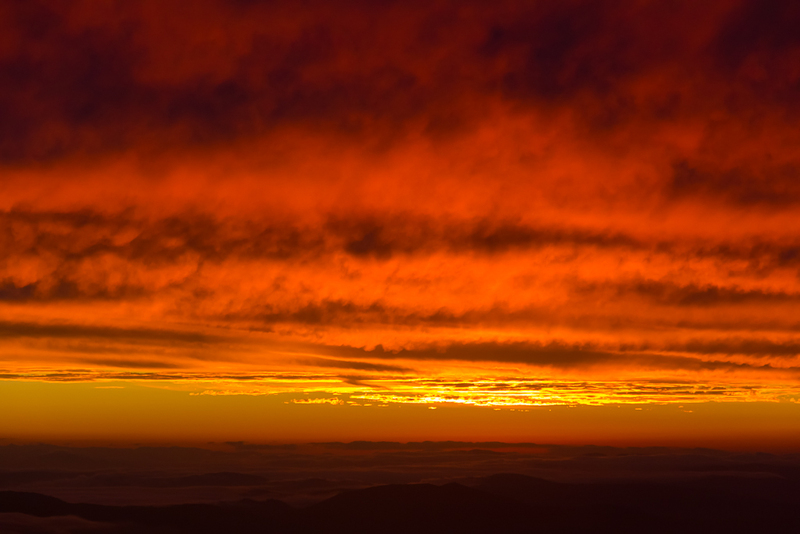 Not a bad first day of hiking, which was topped off with the greatest sunset I’ve ever seen in my life. I’m not even joking. Is that it then? Dinner? Bed? Not quite. It really should be simple, shouldn’t it? You know it isn’t. MK set up her sleeping mat, which is an ultra-light number, but it was missing one aspect of a good mat. It didn’t hold air, as it had a sizeable hole in the side. I was having a bit of a chuckle and began bragging about my Rolls-Royce sleeping mat I was about to set up. I have an Exped SynMat, which I began to pump up. It has a number of separate chambers along its length. Unfortunately though, they decided to detonate. Instead of individual chambers, one super sized chamber formed in the centre. It now looked like a pillow had been inserted into it. That’s not all, as I pumped, the chambers continued to give way until it started to sound like a Bofors gun firing at some low flying Messerschimtt’s. Banging and crashing rang out, as the mat continued exploding, which gave MK quite a lot of joy, as she wasn’t the only one with a crap mat. Hey Darren, lucky first comment on this ye olde post! Thanks! im going up next week-in sunshine-been snowing lightly so let that pass-be looking out for Canadian armed forces bloke -they are searching from today onwards-but many think he bailed off mountain in to forest-to survive hence not finding him up top-in saying that the same goes pine valley tas-3 never found?-for his parents sake hope they find him. 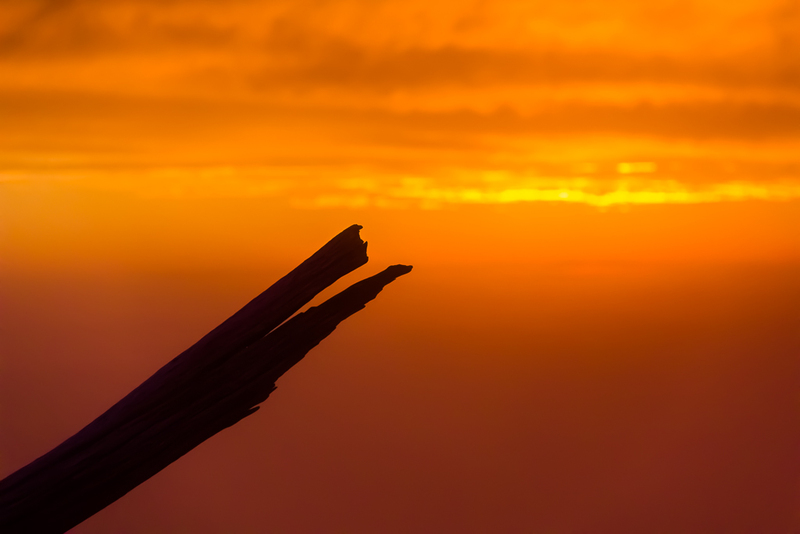 No words can adequately describe those sunsets! I wish I’d been there. I can understand why they left you joke-less. I wonder if you’ll ever see such sights again? The description of your mattress fiasco was hilarious. At least I’m not envious of that aspect of your trip. Chorizo sausages and chocolate? MK likes good tucker. From reading the other posts it seems she needs it with her activity level! It’s hard to explain, but it’s easily the best sunset I’ve seen in my life. What’s weird is I was a little suspicious before heading up, as the light was dull. It all happened so quickly though, as that insane red glow hit us! That mattress sucked. It was an Exped one and I haven’t bought one of them since 🙂 I had another lighter one, which was the one which failed on the GOW, so no more Exped for me! I forgot to mention, but MK also had a bottle of wine, which she lugged around in order to share on this evening. Unfortunately she forgot the bottle opener, so she just carried it down again 🙂 There is no dodgy lightweight food for her, but being a powerhouse, she has no problem carrying it!